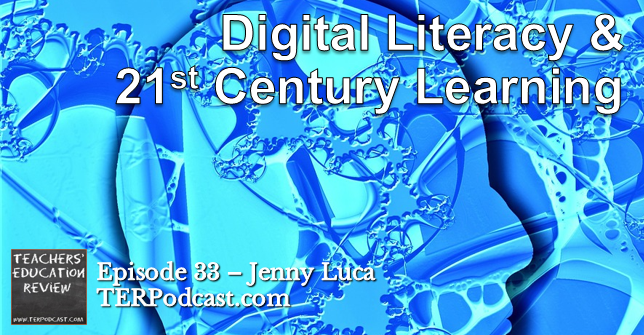 Main Feature: In an interview recorded at EduTech 2014, Corinne speaks with Jenny Luca about digital literacy and 21st Century Learning. Regular Features: Off Campus, Dan Haesler explores issues related to teacher professional learning; Education in the News, Cameron and Corinne talk about the latest issues of the past fortnight; AITSL’s Teacher Feature, teachers discuss their most effective professional learning experiences; Mystery Educator; Announcements. Did you enjoy the episode? The join in the conversation! Discussions continue each fortnight on Voxer. 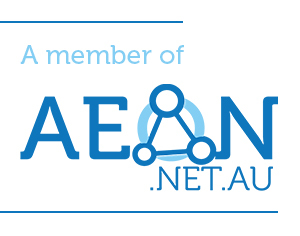 Install the app, then contact Cameron or Corinne to be added to the group. 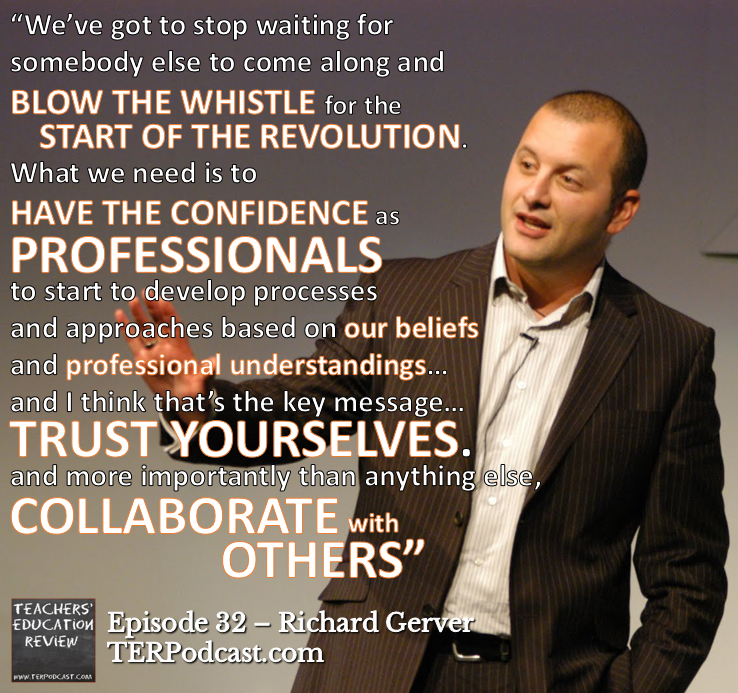 Main Feature: Cameron speaks with Richard Gerver, British educator, speaker and author of “Creating Tomorrow’s Schools, Today” about his experiences leading transformative change in a British public school. Regular Features: Off Campus with Dan Haesler, Dan discusses his insights from his recent trip to SIngapore; Education in the News, global conflict affecting schools and the issue of teaching values and ethical issues in schools; AITSL’s Teacher Feature, teachers discuss the things they’d like to change about education; Mystery Educator Competition – new clue!